In August 2008, Japan received a new entry in the Crush franchise as a WiiWare downloadable game, titled Alien Crush Returns. 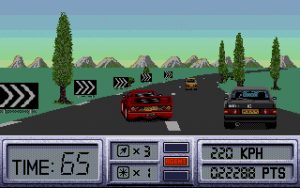 It was developed by Tamsoft of Simple 2000 fame and was published by Hudson Soft. The concept behind Alien Crush Returns is the same as it’s TurboGrafx-16 predecessor: play pinball on Giger-esque ‘xenomorph’ themed tables. There are three different tables included in the original game, and more will eventually be available for download as DLC. There are two ‘boss’ tables as well, but they’re only available in ‘story mode’. The controls utilize the wiimote and nunchuck, with the Z and B buttons controlling your flippers. A shake of the wiimote nudges the table. Also new to the series are ‘action balls’, balls you unlock that have different properties, such as temporarily splitting in two. The game is fully rendered in 3D, and successfully carries the design of the Compile developed games through to current-gen systems. Alien ‘bumpers’ and obstacles spit purple fluids, destroying an alien with repeated hits causes it to explode in a green cloud of ichor, and the lighting and sound effects have a satisfying ‘wetness’ about them. The music has suffered from the jump to a new developer though: it’s pretty standard techno. 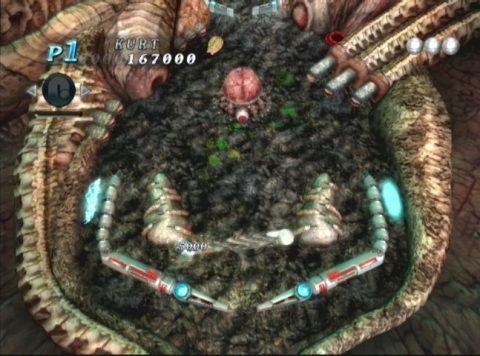 The strangest thing about Alien Crush Returns is the addition of the ‘story mode’, in which you are told that a group of space marines has entered an alien vessel in orbit around one of Jupiters’ moons, and must fight their way through it in order to survive. These unseen marines accomplish this by playing pinball(?) on each of the three tables, and on two boss tables. Instead of simply trying for a high score, the goal is to eliminate all the alien creatures that the table releases in timed intervals. The story exists only as a few lines of text that scroll across the screen before play begins on each table, and is ultimately irrelevant to the actual mechanics of the game. The reason behind the existence of the story mode seems to be the extra tables available for play in that mode: the boss tables. There are two in total, bringing the number of tables up to five. Each boss table has a giant alien menace as a centerpiece, which you must destroy by repeatedly hitting it with your pinball. Interestingly, the two creatures aren’t just scenery: each of them interacts with the table and you the player, trying to make you lose your ball… Which must be full of space marines or something. 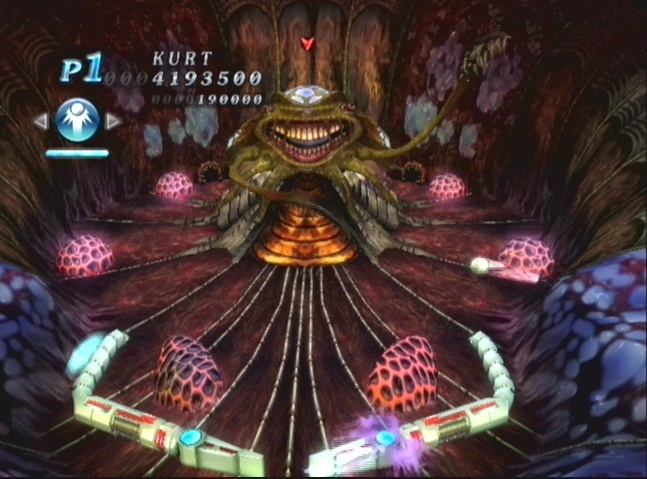 The first boss, for example, will cover your flippers in purple goo, gluing them in place. 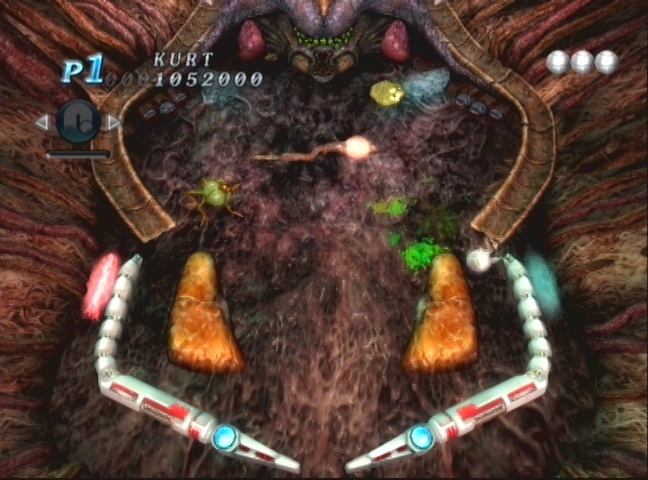 You must mash the flipper buttons to free them before your ball comes rocketing down and needs to be relaunched. 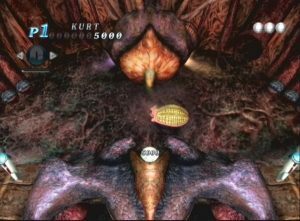 The second and final boss is a shameful clone of the Alien Queen from the film Aliens, and will stab at the table with her tail, either destroying your ball or sending it flying in a random direction. You begin story mode with three balls, but there are unlimited continues. Anyone can finish story mode in an hour or so. In the more traditional ‘Arcade Mode’, you simply play for high score. All the traditional pinball trappings are present and accounted for, including ‘bonus games’ that you trigger by slotting your ball into a glowing portal. 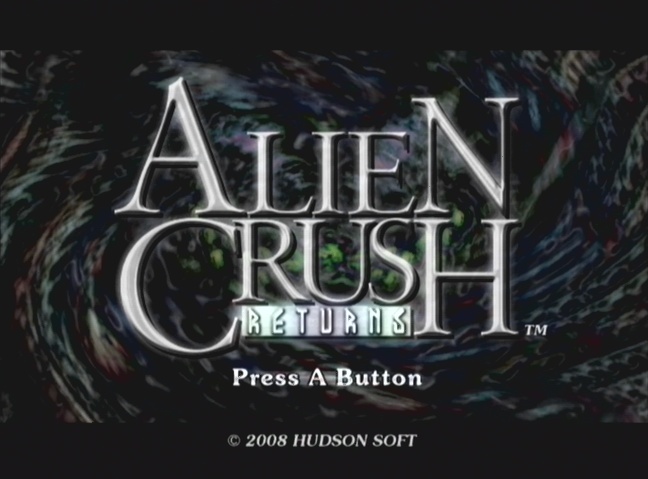 Whereas you would typically play the bonus game on the LCD screen of a real pinball machine, Alien Crush Returns warps you to a separate room full of alien bugs to squash. Tamsoft has also added online leader boards, allowing you to compare your high score on each table to other players. 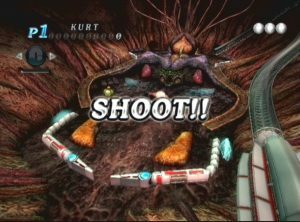 While the overall game is a welcome gift to video pinball fans, the game isn’t without a few problems. The camera over the table isn’t static: if you hit the ball from the very bottom of the table to the upper level on table one, for example, the camera will follow it to give you a better view of the area you’re in. This works well most of the time, but if you get a ball with a lot of momentum flying from top to bottom very quickly, the camera can’t keep up and you’ll lost sight of the ball. 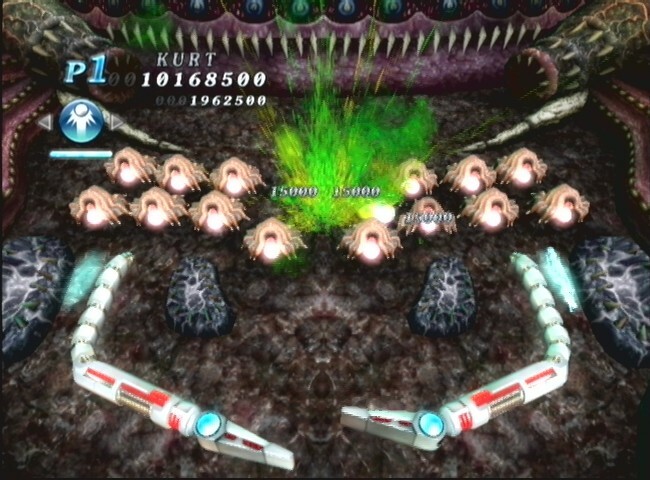 There are a few minor physics quirks too, most noticeably on the table featuring the strange alien snake thing. They don’t ruin the game by any means, but a player should be aware of them. 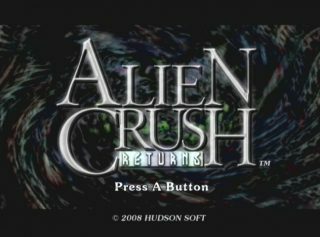 Alien Crush Returns adds a few new elements to the traditional Crush Pinball mix, and is an excellent, and long overdue, addition to the franchise. Even better, since Alien Crush and Devil’s Crush are also available on the Wii Virtual Console, a video pinball lover can have all three available to play anytime.